Ok, think I missed on this one. 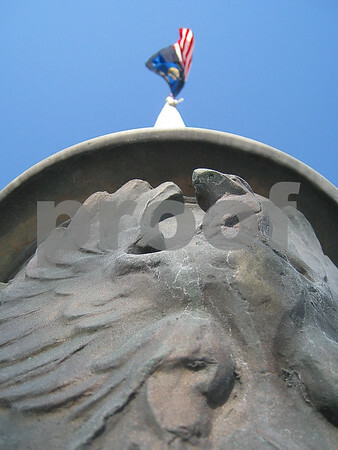 I have been eyeing the eagles adorning the base of a flag pole downtown for a while now. I took a bunch of macros of this eagle but wasn't totally happy with the results. As I stood there looking for a better perspective, I shot a few looking up the flagpole. Coming off yesterday's shot, it seemed appropriate. Upon showing this to my wife, she proclaimed, "You know there's still enough time to take a shot of something else"... Youch. Nice humor indeed and interesting catch! OMG- you've got quite a sense of humor!